If you were to describe the typical Harvard or MIT MOOC participant, he (yes, not she) would come from outside of the United States, be in his 20s, hold a bachelor-level degree and register for the course with the intention of getting certified. But that hardly tells the whole story. 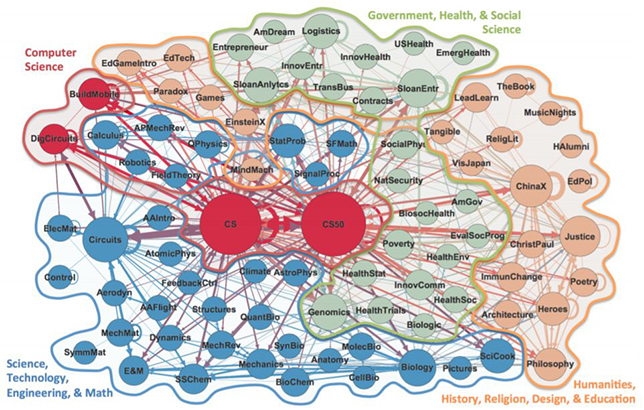 Two of the brains behind the institutions' edX programs have released results of a joint research project that mined the data generated through four years of MOOC activity. Isaac Chuang, senior associate dean of digital learning, professor of electrical engineering and computer science and professor of physics at MIT, and Andrew Ho, chair of the Vice Provost for Advances in Learning (VPAL) Research Committee and a professor of education at the Harvard Graduate School of Education, examined 2.3 billion events logged online by 4.5 million participants to produce the highly readable "HarvardX and MITx: Four Years of Open Online Courses." The research project builds on previous benchmark reports that covered the first two years of MOOCs (2014 and 2015) launched on edX, a nonprofit learning platform launched by the two institutions. The latest survey, encompassing fall 2012 through summer 2016, covers 290 courses offered by Harvard and MIT, which generated 28 million "participant hours." Certification is a big draw.The granting of certificates for successful completion of a course also steadily increased up until the point in early 2016 when that option was no longer free. Overall, 159,000 unique individuals have earned a total of 245,000 certifications, both free and paid. MOOCs educate thousands and certify hundreds. The median number of active participants in a course is 7,902; another 1,517 are considered "explorers" — those who explore half or more of the course content. The typical course certifies 500 people. 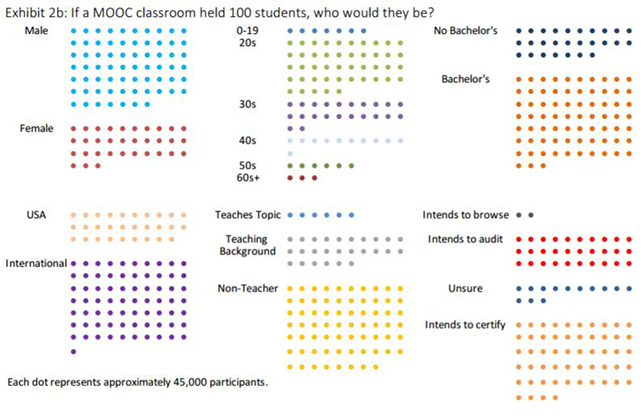 The researchers reminded readers that not all MOOCs offer free certificates and not all participants desire them. Among those who stated up front that they intended the become certified, the median certification rate was 30 percent. Among those who paid for identity verification as part of the process of becoming certified, the median completion was 60 percent. Reruns (mostly) work with MOOCs.Although the data suggested a continued decline in enrollment for a MOOC that is repeated (about 25 percent), that varies by the topic. "Some courses," the report stated, "increase in enrollment and others decline by 50 percent or more." Computer science MOOCs rock.Courses in computer science make up just a small tally of the total number of MOOCs delivered by the two institutions (30 of the 290 total courses). However, they have an outsized influence on bringing students into the MOOC fold and encouraging them to enroll in other courses. Also, the most likely flow from a CS course will be into another CS course. From there, the next most likely tie will be a CS student enrolling in a non-CS STEM course. The average number of participants for a CS program is 21,040, vs. 7,905 in a non-CS STEM course. "Each year, we release a report so that everyone can see the data for themselves," said Ho in a prepared statement. "We hope it helps institutions, faculty, students and the public learn more about these unprecedented global classrooms." The full report is openly available on Elsevier's SSRN website here.